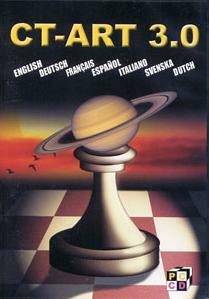 This product from Chess Baron: Contains over 1200 exercises classified according to three criteria: (a)Tactical methods (Annihilation of Defense, Distraction, Decoy, Open attack, Opening of a file, Space clearance, X-ray attack, Interception, etc), (b)Combination motifs (Geometrical motif, Weakness of a file, Opposing, A piece is overloaded, Bad position of the pieces, Limited material, etc), (c) Strength (ELO 1600-2300). Convenient prompt system. Help features include: marking the most important squares, illustration of ideas with more simple examples (more than 1000 subsidiary exercises). Optional change of colors and sides increases the number of exercises. Detailed statistics can be saved for any number of users. Tests and ELO estimation modes. Playing program Crafty is included. Chess material was prepared by ICCF Grandmaster Maxim Blokh.